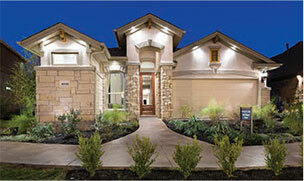 We’re building exciting new designs in great neighborhoods in and around the Austin area. Here’s what we are working on now. Gracy Farms: 25 single family home sites in the last Gracy family tract with homes from 1600 to 2800 square feet on treed lots. Estimated prices starting in the 300’s to the $400’s. We will have several one story plans as well as several two stories with masters down. Several plans have optional multi-generational suites. Minutes to the Domain and employment centers such as JJ Pickle, IBM, and National Instruments. Start of construction of homes estimated to be May 2018. Town Creek New Braunfels: This infi ll community is walking distance to downtown with all of its restaurants and night life. Walk to Wurstfest in minutes or just enjoy spacious Landa Park. Minutes to all New Braunfels has to offer. Homes will range from 1800 to over 3000 square feet. Home construction is estimated to start in summer of 2018.